Stewart Stevenson, SNP MSP for Banffshire & Buchan Coast has today welcomed the news that two organisations in the Banffshire & Buchan Coast constituency are to receive Big Lottery Funding through the 2014 Communities programme, totalling £3,107. Brighter Horizons in Banff and Peterhead Academy have both received grants to fund the provision of opportunities for young people to take part in sport. The Big Lottery Fund 2014 Communities is about encouraging participation in sport as part of a healthy and active lifestyle in the run-up to the Commonwealth Games. The programme aims to encourage more people to take part or volunteer in sport or physical activity as well as encourage greater community cohesion in the run up to the 2014 Commonwealth Games. The 2014 Communities grants are offered to local sports clubs, voluntary and community organisations, community councils and schools grants of £300 to £2,000 to support and stimulate grass roots involvement in sport and physical activity. In year two of the programme, Big Lottery Fund has £1 million to award in grants. 2014 Communities will continue to operate up to the Glasgow Commonwealth Games in 2014. “I am delighted to see these local groups, who are centres of activity in our community receiving these funds, which will serve to support them now and provide for their development in the future. Banffshire & Buchan Coast MSP Stewart Stevenson has shown his support for the ‘'Know Your Numbers!' Week, which takes place from 10 - 16 September. “Know Your Numbers Week will help to raise awareness about the dangers of uncontrolled high blood pressure which is responsible for 60% of strokes and 40% of heart attacks, resulting in needless deaths and disability. New statistics demonstrating the rapid progress that is being made towards reducing senior management posts in the NHS show that the SNP Government is prioritising frontline healthcare. 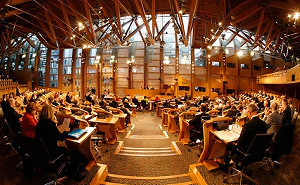 The Scottish Government brought in a target of reducing senior management positions in the NHS by 25% by 2015. The latest figures show that since March 2010 a drop of 16.1% has been achieved so far. The reduction in senior management positions comes as figures show that the NHS workforce in Scotland is 2.6% higher than it was in September 2006 before the SNP took office, while there are also more qualified nurses employed by the NHS in Scotland since that time. “At a time when resources are tight, it is more important than ever that frontline healthcare is the top priority. “You will not find many people who would not agree that money should be used to employ health staff ahead of senior managers. “For the Scottish Government to have achieved an over 16% reduction in senior management positions is a clear demonstration that we are well on our way to achieving our target. “The SNP is committed to protecting frontline healthcare and ensuring that people in Scotland continue to receive the exceptional level of care they currently get from the NHS. “The fact that the NHS in Scotland is effectively independent shows what we can achieve when decisions are made by a Scottish Parliament, 100% elected in Scotland. A new water treatment works which will serve 700 customers in Gairloch, Inverasdale and Poolewe has been visited by Scotland’s Environment Minister. “Scotland is blessed with many natural assets, including the sources used for our drinking water. We want all Scots to use and enjoy the water that comes from their tap, therefore I welcome the completion of this new treatment works at Poolewe. The new supply from the River Ewe was introduced last month to customers in Gairloch, providing much better quality of drinking water. Work has been progressing on the final phases needed to put the new water into supply for Inverasdale and Poolewe. The new works uses modern membrane technology to treat the drinking water to a very high standard. It replaces two existing water treatment works – one serving Gairloch which needed investment to improve the quality of drinking water in the area and another serving Inverasdale and Poolewe, which needed a bigger source to meet growing needs in the area. “Building a water treatment works and putting new water into supply is a complicated process and a lot of work goes into making sure a treatment works is fully up and running and ready to supply customers with as little disruption as possible during the transition period. Some customers may notice a change in the taste of the drinking water at this time. North Kessock pupils showed off their cycle skills to Environment Minister Stewart Stevenson today as he launched an ambitious project to cut Highland car use. Transition Black Isles’ Million Miles project, which received £194,741 of funding from the Scottish Government’s Climate Challenge Fund (CCF), aims to cut car travel by a million miles each year by promoting sustainable alternatives. After cycling across the Kessock Bridge, Mr Stevenson met a group of North Kessock pupils who have all completed their Bikeability training and were taking part in today’s launch. Mr Stevenson also announced the latest round of CCF funding today which will see 17 projects throughout Scotland receive a total of £1.5 million. Parent Action for Safe Play, North Lanarkshire, who receive £119,246 to launch the community-wide Growing Greener Project to help Coatbridge young people and families reduce their carbon footprint through education, awareness raising and behavioural change. The project will include gardening, cooking, composting, recycling and energy efficient events. Broughty Ferry New Kirk, Dundee, the St Aidan's project has been awarded £108,813. The new energy efficient St Aidan's Church will provide a support and advice service for residents on how to combat fuel poverty and reduce carbon footprint. It will also act as a base to serve all the needs of the local community by offering a safe and suitable community building adapted for a wide range of uses. REAP (Rural Environmental Action Project), Moray, will receive £244,399 to work in the Keith and Strathisla areas to promote the growing and eating of local fruit and vegetables and reduce food waste through the Food Network Keith project. The project will lower carbon emissions from food in Keith and enhance local public spaces through a variety of fun and practical activities. These will include electric bike deliveries, composting, cookery and gardening courses, planting a community orchard and working with community groups. Gorbals Healthy Living Network, Glasgow, will receive £65,006 for their 'Greening the Gorbals' project to kick start a number of small scale carbon footprint reduction projects to engage residents in growing food and recycling. The participation, learning and experience of these projects will influence both the process of physical regeneration of the area and be beneficial to residents. The project will reduce CO2e emissions while also ensuring that carbon footprint reduction measures are hardwired in to the future of the Gorbals. “Climate change is one of the biggest challenges facing the world today and, here in Scotland, we want to be part of the solution. “That’s why we set up the Climate Challenge Fund to support communities as they tackle climate change by reducing emissions through a range of innovative schemes. “Today in North Kessock I’ve seen an example of a community pulling together to reduce their emissions. The residents of the Black Isle have set themselves an ambitious target to cut car travel by local residents by a million miles a year. It was great to meet some of the youngsters who will reap the rewards of this in years to come and see that they’re already developing the skills, confidence and experience they need to play their part. "We're keen to stress that more sustainable forms of travel can be more fun than driving, as well as the more obvious cost, health and climate change benefits. “And that fits in perfectly with the Transition Black Isle agenda, which is essentially that we can’t carry on using fossil fuels as we do at present, so rather than pretending they’ll last for ever and that climate change is going to be just a minor inconvenience, we need to realise that a low carbon future could actually be a better future, and work towards it rather than fight it." Since its launch in 2008, the Scottish Government has made over £49.4 million available to community groups throughout Scotland. The latest round means that since 2012, 81 communities have benefited to the tune of over £11.6 million. Transition Black Isle is working locally to enable communities to adjust to the challenges people will face as energy becomes scarce and the impacts of climate change begin to bite. Through the Black Isle Travel Pilot project it aims to cut car travel by local residents by 1 million miles per year by promoting more sustainable alternatives including cycling, walking, lift-share and public transport. Work to upgrade and modernise Scotland’s bull stud farm is now underway. The contract to undertake the building work and upgrade the bull stud facility at Knocknagael Farm, near Inverness, has been awarded to Robertson Construction Ltd. The facility provides a bull hire scheme for crofters. The £3 million bull stud modernisation project, due to be completed in spring 2013, will boast a quarantine unit for receiving bulls, veterinary and office facilities and a general purpose shed, alongside the main bull accommodation which will house up to 150 bulls. The construction work also provides an opportunity for four apprentices and four work experience placements for 16-19 year olds. Site visits will be organised for the local agricultural community to give an insight into the construction techniques, including the zero waste policy. A school safety campaign will also be organised, with school visits to highlight the dangers of both construction sites and farms while also offering information about careers in the construction industry. “Scotland has operated a bull hire scheme for crofters for well over 100 years, giving crofters access to high quality bulls and ensuring they can supply quality calves to the Scottish beef industry. “These new facilities will bring the Scottish Government bull stud into the 21st century, providing excellent animal health and welfare to support on-croft cattle breeding. “Not only will the modernisation increase the value for money offered by the stud, it will also include very real environmental and other benefits through the use of solar panels and modern, thermally efficient and durable building materials. In addition, the project will make best use of recyclable materials in line with Scotland’s Zero Waste Strategy. A Crofters' Bull Hire Scheme has been funded and operated by the Government since 1897, enabling crofters to access high quality bulls and supply quality calves to the beef industry throughout Scotland. Analysis of the consultation on proposals for the introduction of an Aquaculture and Fisheries Bill, which received 1,342 responses, has been published. The Scottish Government consulted on how to achieve a sustainable future for aquaculture and freshwater fisheries and ensure the effective management of interactions between the two sectors. The consultation will inform the development of a new Aquaculture and Fisheries Bill, which is planned for introduction in autumn 2012. Fish and shellfish farming is a growing industry that directly employs more than 1,500 people, with salmon being Scotland’s largest food export. In 2010 150,000 tonnes of farmed salmon was produced, worth around £540 million. Scotland's freshwater fisheries are world famous and their management supports one of the largest wild salmon populations in Europe, while Scottish brown trout fisheries are also an important tourism draw. “Both aquaculture and freshwater fisheries play an important economic and social role in communities throughout Scotland, particularly in remote and rural locations. That’s why the Scottish Government has consulted on new legislation that will aim to ensure both sectors have a viable, long term future. “Therefore I welcome the strong level of engagement in this consultation, reflecting the desire of the respondents that we have a balanced and proportionate Bill, building on the successes we already have in these sectors. The provisions within the Bill will ensure that farmed and wild fisheries – and their interactions with each other – are managed effectively, maximising their combined contribution to supporting sustainable economic growth. “I can assure all those who took part that every response has been read and carefully considered. Since the consultation launch we have also engaged with key stakeholders on how the plans might be progressed. We have listened to their feedback and taken account where concerns have been raised. The consultation concluded on April 13 and generated 1,342 responses, representing a wide cross-section of interested parties – including aquaculture, freshwater fisheries, environmental bodies, voluntary and public sectors, and members of the public. The Native Woodland Survey of Scotland (NWSS) is now two thirds complete – and the three most recent reports (Argyll & Bute, South Lanarkshire and Stirling) show that the area of native woodland in Argyll & Bute is considerably higher than in any other local authority area - so far. The summary reports for 22 of the 32 Scottish local authority areas are now available, with Argyll and Bute having 33,058ha of native woodland – almost 5% of the total land area. Managed by Forestry Commission Scotland, the NWSS aims to improve understanding of our valuable and important native woodlands in order to better inform efforts to protect and expand them for the benefit of nature conservation, heritage and the rural economy. “This survey of native woodland is the most comprehensive forest survey to have taken place in Scotland since the Forestry Commission was established in 1919. “This survey is clearly building up a fantastically detailed picture of the quantity, composition, condition and location of our native woodlands, the like of which we’ve never had before. It is also detailing the make-up of remnants of ancient woodlands, and woodlands comprising native species that have been planted more recently or regenerated naturally. “These are all important habitat areas – as well as resources for recreation and potentially for the production of quality hardwood timber and it is vital that we do all we can to ensure that these woodlands are nurtured and cared for so that they can be brought into the best possible condition. The data is already being put to good use through helping planning of future management of the existing woodlands as well as planning for the creation of new native woodlands on adjacent sites. It can also aid overall habitat management and identify woodlands containing invasive species and thereby to target these for control. In future it will also inform forest design plans, decisions about restructuring/thinning on plantation on ancient woodland (PAWS) sites and in helping to identify possible bat habitat & roosts. Efforts to improve the overall health of native woodlands for biodiversity should focus on encouraging greater regeneration of native tree and shrub species, reducing the extent of invasive non native shrubs such as Rhododendron ponticum and managing the impact of browsing by herbivores such as deer and livestock. Areas still to be reported on include Dumfries and Galloway, Scottish Borders, Highland and Aberdeenshire, which are all known to have large areas of woodland. Results for these areas should be published over the next 6-12 months followed by a national summary report.